We'll be posting more photos over the next couple of weeks, including a slide show. But here's a few shots from Saturday. Just part of the 20 piece Cedar Springs High School Jazz Band. Kelsey Rottiers sounded great in her solo set. David Molinari and Creolization were great. This is not David. Delilah DeWylde and the Lost Boys closed the show with rockabilly fun. Thank you to everyone who participated in Jake's Music Festival 2012. It was a great evening filled with wonderful music and a few surprises. We had Celtic music and airbrush tattoos. Rock-a-billy and craft beer. Jazz and an "80 year old" quilt. Straight ahead rock and roll and free cake. Cabaret and hip hop.Truly it was a night that provided something for everyone. But the main thing the festival did was move us closer to finding a cure for diabetes. Thanks to the generous donations, sponsors and silent auction we are happy to report that this year's festival cleared over $5,000 for diabetes research. Thank you to everyone who contributed. We would like to thank our major sponsors Frames Unlimited, The Gordon Group and Right Brain Brewery. Thanks also to our donors WYCE, Connie's Cakes, PJ's Sound and Backline, and DVS. Thank you to all the businesses that donated items for the silent auction. Special thanks to Erin Wilson and the crew at Wealthy Theatre. Thanks to the volunteers who manned the silent auction table, put up posters and helped back stage. A very special thank you to Clay Grueber, our music director, who books all the bands and keep everything humming behind the scenes. The final two thank you's go to all the bands and performers who donated their time to help make JMF a reality and to all the people who attended last night's show. Because of all of you we are one step closer to finding a cure for Type 1 diabetes. If you didn't have a chance to attend but would like to contribute you can do so on-line. Follow this link to our JDRF Ride for a Cure page and click on one of the "Donate to..." links on the left side. It's all been leading up to this - the best night of local music in West Michigan. There will be over 16 acts performing on the Wealthy Theatre stage. Doors open at 3:30 and the music starts at 4:00. We'll be starting with this year's youth act, the Cedar Springs High School Jazz Band. They will be followed by accordionist extraordinaire Michael Schaeffer. At 4:45 one of the hottest bands in the area, Valentiger, takes the stage. Charlie Walker then does a solo set. Next on the stage is a band that has been getting an incredible amount of buzz. Don't miss Flashing Blue Lights at 5:30. The Celtic Kilroy Cabaret will be the first of two Irish music acts. We are very pleased to present the up and coming Nick Stevenson Band at 6:30. Next is Kelsey Rottiers, who wowed everyone with her beautiful voice when she did an interview earlier this week on Fox17. Long time JMF favorite David Molinari and Creolization take the stage at 7:15 with a high energy Creole sound. Karissa Wilson and Lynn Thompson follow with a duet. At 8:15 we welcome back The Fainting Generals. Then David Molinari returns for a solo set. Our second Irish act, The Waxies hit the stage at 9:15 followed by Michael Stephen Tryc. To close the show in their rockabilly style we have one of the top bands in West Michigan. Delilah DeWylde and the Lost Boys start at 10:15 p.m. Thanks to all of tonight's performers. 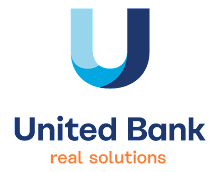 Thanks also to our sponsors Frames Unlimited, The Gordon Group, and Right Brain Brewery. 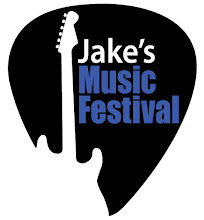 Because of their generosity and commitment to the cause Jake's Music Festival is a free show. However, if you feel so inclined, we would welcome your donation to the Juvenile Diabetes Research Foundation. So come early, stay late. Pop out for a bite at one of the great local restaurants on Wealthy Street or just stay inside and enjoy the treats from the theatre concession stand. Plus there will be free cake samples from Connie's Cakes and a silent auction with lots of great items from local businesses. And, like every year, we have a few surprises in store. You'll just have to be here to see them. See you tonight. JMF Music Director Clay Grueber and Organizer Tom Scheidel were featured on the Fox17 Morning News program today. The interview was done at Wealthy Theatre and viewers even got a sneak peek at the Festival in the second part. Singer Kelsey Rottiers performed a song live from the Wealthy Theatre stage. Thanks to Emily Richett from Fox17. Thanks also to John Sinkevics and his Local Spins program. We spoke with him on WGRD on Tuesday and on WJRW on Wednesday. During the WJRW interview Lynn Thompson played a brand new song live. Both Kelsey and Lynn will be performing on Saturday along with 14 other acts. Click on the links below to see and hear the full interviews. Part one of the Fox17 interview. Part two of the Fox17 interview. Local Spins with John Sinkevics. Besides all the great music there are also great things to purchase at Jake's Music Festival. Several of the bands with have merchandise for sale. The Wealthy Theatre concession stand will be open, serving a variety of Michigan beer including a selection from our sponsor Right Brain Brewery. And then there's the silent auction. Many local businesses have donated items. Here's a partial list. It's rather obvious that we promote the festival on this web site. However, it's always cool when the local media outlets pick up on what we are doing and start spreading the word. We will be all over the media between now and April 14th, starting today. Rapid Growth Media did on feature story in their ...do good column. This weekend we'll be on Sunday Morning Townsquare with Paul Jendrasiak. Below is a list of where you can catch us talking about Jake's Music Festival. On some of the programs we will also have musicians with us, so you can get a taste of what you'll be seeing at JMF 2012. John Sinkevics, Local Spins, WJRW News Talk 1340 AM, April 11 - 10:00 a.m.
Fox17 News, on your TV, April 12 - 8:15 a.m. and 8:45 a.m. The Morning Show with Shelly Irwin, WGVU 88.5 FM, April 12 - 10:00 a.m.
Local Resonance, WYCE 88.1 FM, April 12 - 11:00 a.m.